As seen in the LVM design scheme, Physical Volumes (PV) are the bottom layer of LVM. 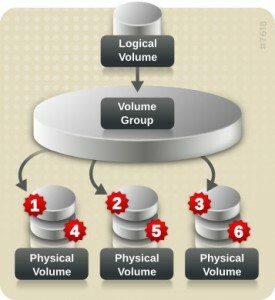 The second layer are Volume Groups (VG) and the final, third layer are Logical Volumes (LV). First we need to add hard drives to Physical Volumes which we next add to Volume Groups. From Volume Groups we create Logical Volumes on which we can create filesystems. 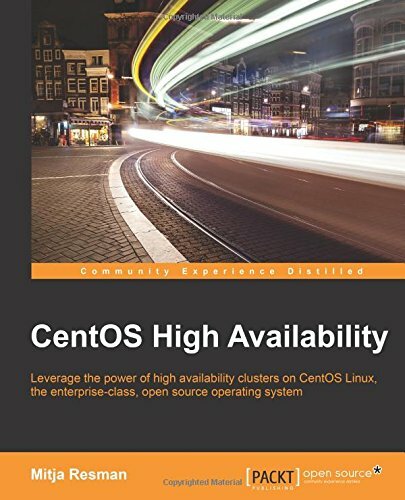 Physical Volume Management is a part 1/3 of LVM Management on CentOS! In this post we will learn how to create, delete and move Physical Volumes (PV). We will learn how to prepare Physical Volume to be added to Volume Groups. Let’s start our Physical Volume Management on CentOS 6 guide! 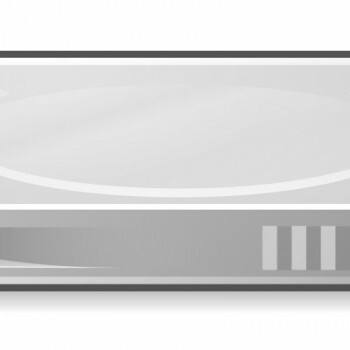 For this example we have 3 additional hard drives: /dev/sdb (1GB), /dev/sdc (2GB) and /dev/sdd (3GB). /dev/sda2 is a pre-existing PV on my system that holds the system root and swap partition. We see there is currently only one existing PV present. This PV is called /dev/sda2 and is the PV, that holds the system root and swap partition. With the “pvdisplay” command we se additional info – Total PE, Free PE and Allocated PE. This is the Physical Extent. A number of Physical Extents builds the Physical Volume. "/dev/sdb" is a new physical volume of "1.00 GiB"
We see, that /dev/sdb PV was created but it is not allocatable. Running “pvscan” command gives us information that 1GB of space which is in no VG (Volume Group) – this is the reason for not being allocatable. We can remove a Physical Volume with “pvremove” command. You should be careful when removing a PV. Make sure that no Physical Extents are allocated on your PV before removing it from the system! You can do this with “pvmove” command. If you remove a PV with filesystem on it, YOU WILL LOOSE/CORRUPT DATA! I will be covering how to do this in a different post. As we see we succesfully removed all additional Physical Volumes we added. “pvmove” command allows you to move the allocated physical extents (PEs) on SourcePhysicalVolume to one or more other physical volumes (PVs). This comes handy when you want to remove certain PV but you have to move all of the data away from it. Archiving volume group "geekpeek" metadata (seqno 14). Suppressed geekpeek-pvmove0 (253:3) identical table reload. Creating volume group backup "/etc/lvm/backup/geekpeek" (seqno 15). Creating volume group backup "/etc/lvm/backup/geekpeek" (seqno 17). With “pvmove -v /dev/sdc” we moved all of the allocated PE’s from /dev/sdc to another (free) Physical Volume. Only now we can safely remove the PV (premove) called /dev/sdc from our system. Thanks for this! I put a second hard drive in my CentOS, have several books and of course google, but couldn’t find a clear command step by step to get the new drive integrated. Thanks for your support Buck! I appreciate it! You can remove a physical volume from volume group and then remove the physical volume as long as there is no allocated extents in use.